Short description: Are you searching for a fast loading and fully-functional website, able to meet all your product presentation requirements? 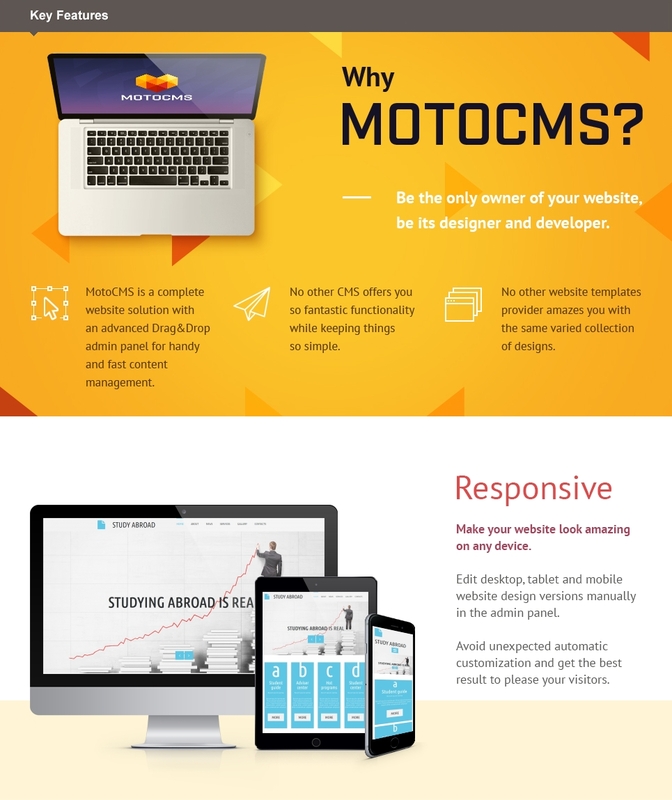 Our Education Responsive Moto CMS 3 Template will help you build an educational or writing website, keeping in mind your business needs. An easy and quick installation process gives you more time to concentrate on the importance of your content. You can customize the content with ease completely on your own, no programming skills are needed. Fully responsive design and cross-browser features render your website beautifully on any screen resolution. Strong visual effects highlight your text and media elements. 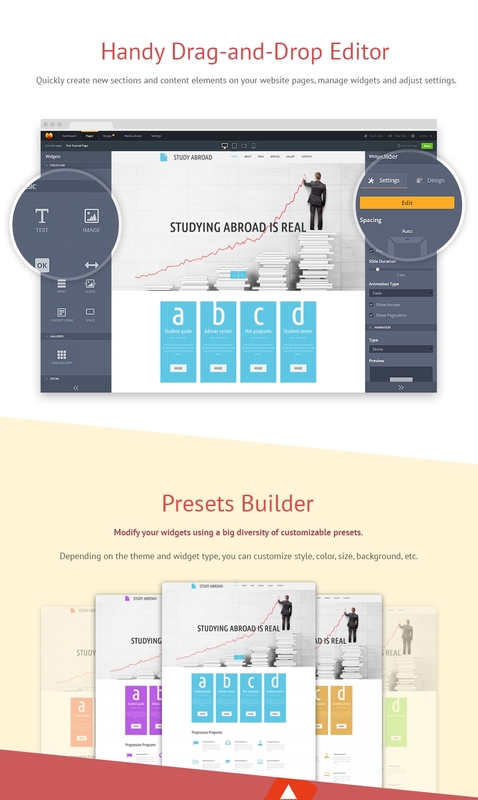 This Education Responsive Moto CMS 3 Theme lets you use a selection of ready-made pages and stock photos. Absolutely comprehensive and easy navigation, complemented with neat product presentation, will help your website attract your customers' attention providing them with a top-quality user experience. In case you are not sure yet, you can opt for a free 14-day trial offer to have a try of our exquisite product. Don't worry that your content may be lost with education website builder, all the modifications are saved after the purchase for later use. If you have any questions, our cost-free 24/7 lifetime support is always there to help you.